So chances are you saw on Instagram that Jord recently did Whole30. I personally did not participate in the 30 day reset with him, but I was along for the ride to see if this is all it is really cracked up to be…. I really thought he was kidding. Considering he has never done a diet or showed an interest in anything Whole30 related, I didn’t even believe him! But he was dead serious. J definitely struggles a bit with digestion issues, but that has always been the case despite his balanced mindset towards food and health. When we first started dating in college, we were ordering breakfast together and I remember him saying “you know, I eat really healthy..just a heads up.” And it was like a I knew I found my soulmate then and there.. (kidding, but not really). I actually always admired J’s approach to eating in general. He doesn’t overeat, he doesn’t eliminate foods and most importantly he LISTENS TO HIS BODY! He isn’t a mindless snacker or a french fries and pizza guy on his lunch break. Sure he orders a bacon cheeseburger once in awhile and likes to have a few beers and cocktails, but he truly has an amazing approach to eating. And you know what? I think it is because he doesn’t really think about it. I am beyond jealous of that. Despite his balanced mentality around food, he does get stomach issues quite frequently. We never knew what was going on or how to make them go away. Sure he tried not eating dairy or gluten for a couple days here and there but nothing ever seemed to make a difference. In my option he had finally reached his breaking point. But if you ask him why he did Whole30, it is because he wanted a challenge. And a challenge is what we had my friends (emphasis on the we). We began reading the Whole30 website, learning all the rules and asking a bunch of people about their experiences. He decided to start the 30 days on January 14th since we didn’t have anything too crazy food wise he would be missing out on. On Valentine’s Day the Whole30 journey was OVER. We obviously celebrated with Mezcal (Jord’s favorite), Pressed Freeze with all the chocolate toppings and I made homemade Snickers (coming soon here) to break his no-chocolate streak with. I also brought him Shake Shack to work to get real crazy. 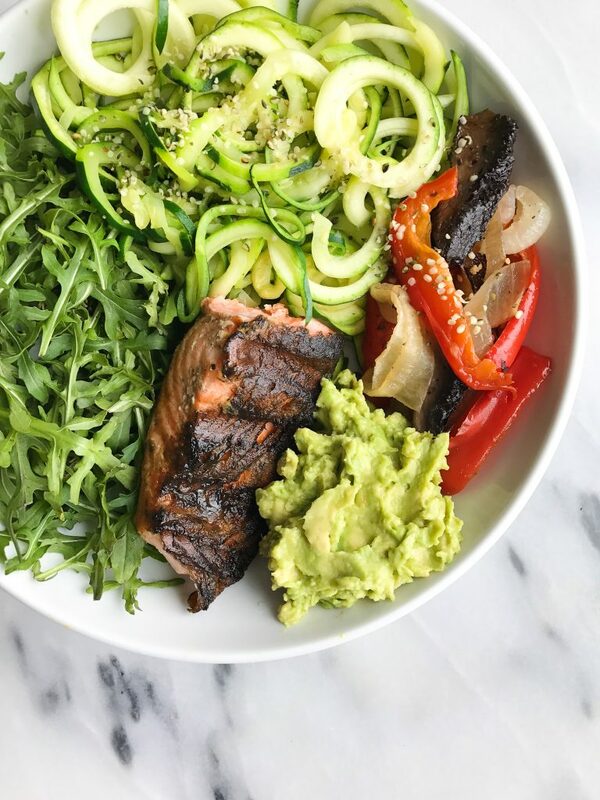 We outlined a few things here that we think would be beneficial for anyone to know that is considering doing Whole30 or is curious about it. We also outlined Jord’s results, favorite recipes, challenges and what is to come next. 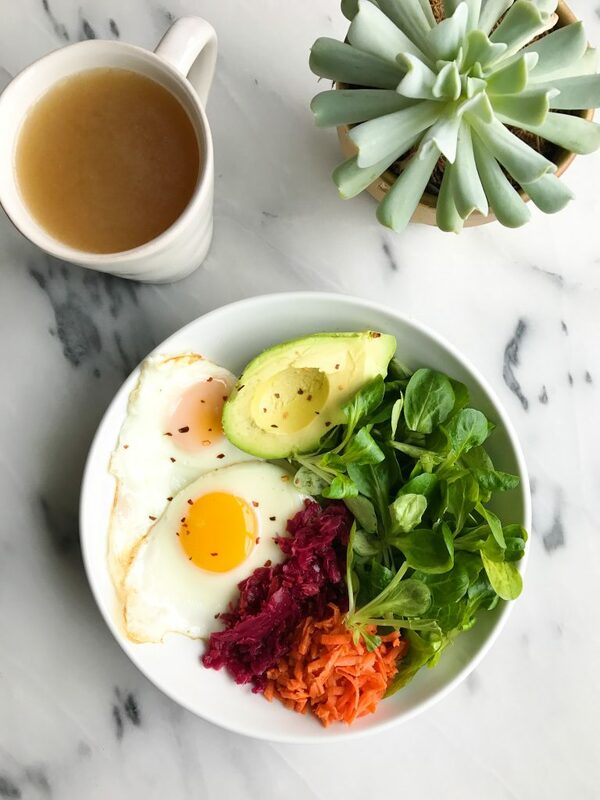 Less bloating – after 4 days on Whole30, J lost an entire layer of bloating, it was like a balloon popped (I wish we had before an after pics) but that was just FOUR days! Morning hunger increased – by not eating after dinner or having dessert, he woke up much hungrier, which is a sign your metabolism is working well! 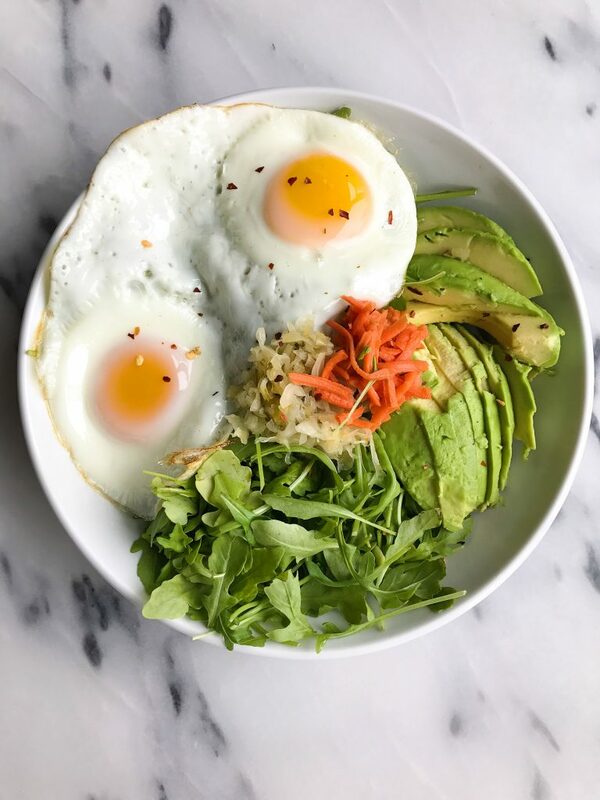 Doing Whole30 on a budget – it is not easy, we spent a ton more $ on groceries during these 30 days due to more meat, eggs, etc. Finding new recipes that Jord wanted to eat – he left it up to me to decide each week, lol! The whole not snacking thing – Jord didn’t follow this because he felt he needed snacks throughout the day to avoid blood sugar from dropping. I also agree with this, we made “larabar” type balls or he had nut butter, jerky, fruit, etc. All made with whole ingredients! Since Jord’s stomach has felt great and energy levels are on point, we are keeping his meals and snacks Whole30-friendly for the most part. We are introducing gluten, dairy and legumes but making sure that about 80% of the time it is Whole30/paleo-ish. That didn’t stop him from eating Shake Shack though last week 😉 fries and all! I definitely think that Whole30 is a great way to reset your body and figure out what could be bothering you or help get you back on track. I do not think this is for everyone (I couldn’t do it) and it is a TON of work so only do this unless you are fully committed and ready to be dedicated for 30 days. That’s so cool and wonderful that it was really helpful for Jord. 🙂 I love hearing these stories. ahh this is wonderful! and so helpful so thank you so much. i have been debating doing Whole30 for a while now and i finally started today😊 so far i’m going strong! these recipes all look perfect. thank you Rach!! This is such an informative piece – thank you! Last year, I started a Paleo friendly life-style and it worked great for me. I just discovered your site and I am excited to try your new recipes. My first will be the almond butter cookies. Thanks for all your great info.